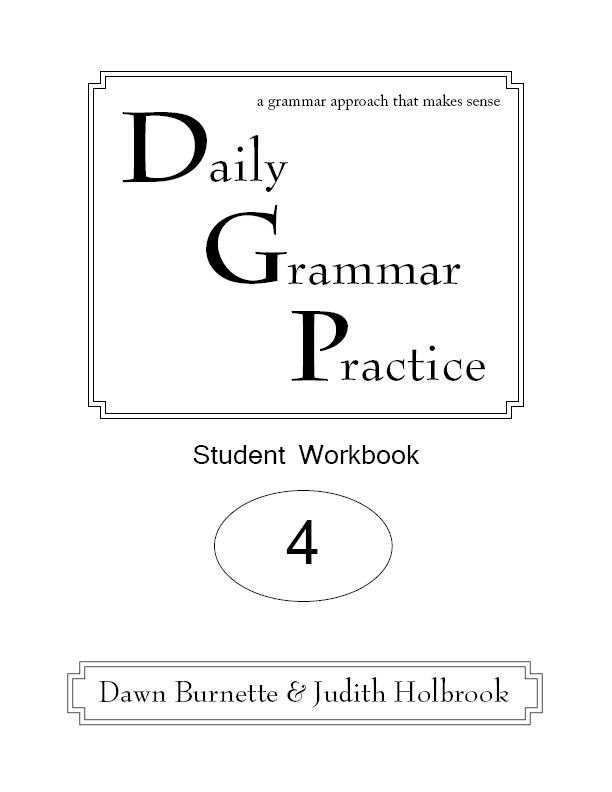 Designed to take just a few minutes each day, Daily Grammar Practice is organized differently than other grammar materials. Instead of individual lessons on nouns, verbs, adjectives, etc., Daily Grammar Practice pulls all the concepts together so students always see the big picture. Students work with one sentence for an entire week. Each day, they break that sentence down a little further grammatically so that, by the end of the week, they see how all of the concepts connect at the sentence level. Clear and organized help pages guide the students through each step of the process.